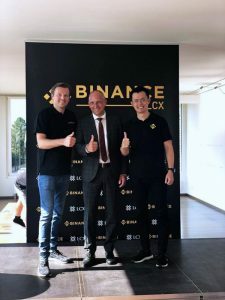 On August 16, Binance LCX, a joint venture between the leading cryptocurrency exchange Binance and Liechtenstein Cryptoassets Exchange (LCX), announced the launch of a fiat-to-crypto exchange in Liechtenstein. Binance LCX plans to build up a team of 10–15 people for its Liechtenstein office. The exchange will offer trading between Swiss Francs (CHF) and Euros (EUR) against major cryptocurrencies pairs, and add more trading pairs overtime subject to regulatory approval. 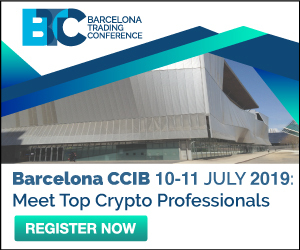 Liechtenstein is the ideal location for Binance LCX to operate as it is geographically positioned in the heart of Europe and is part of the European Economic Area (EEA). Furthermore, the strategic location enables market access and passporting to the rest of Europe. Liechtenstein will further strengthen its position by introducing the Blockchain Act Liechtenstein, which provides a comprehensive and holistic legal structure as a basis for an entire token economy. “We welcome Binance LCX to Liechtenstein. Blockchain technologies are laying the basis for an entirely new industry. We are confident that Liechtenstein’s existing and future legal framework and practice provide a robust foundation for the Binance LCX and other Blockchain companies to provide exceptional services here in Liechtenstein,” – said Adrian Hasler, Prime Minister of Liechtenstein.